The 8-inch Dovetail bar (CGE) from Celestron is for mounting a telescope optical tube to a mount or to attach accessories to the top of the optical tube. Having an extra dovetail bar means that a telescope can have its tube rings attached to its own dovetail bar. To use a different telescope for the same mount, all that would then have to be done would be to slide the bar into the mounts clamp and tighten it. Box Dimensions (LxWxH) 15.35 x 5.95 x 2.5"
8-inch Dovetail bar (CGE) is rated 4.8 out of 5 by 9. Rated 5 out of 5 by Rafael from Perfect For an EdgeHD 8! This is exactly what I needed for my EdgeHD 8! I bought the EdgeHD 8 package that comes with the Advanced VX mount. What I needed this dovetail for is for the top of the telescope so I could attach an AutoGuider (ShortTube 80 from Orion). And it works just as it should. Rated 4 out of 5 by KapaCrux from Fit for the purpose Got it when bought the CGEM, so my CPC 800 OTA could be de-forked. No more fork mounts for me. This product fits perfectly what was designed for, althoug it does come with the rear and forward screws to be fitted to existing holes in order to avoid the OTA to slip out of the mount head. Otherwise, great purchase. Rated 4 out of 5 by Anonymous from 8-inch Dovetail bar (CGE) by Celestron Used to mount my 80mm finder scope. Fits celestron CPC 800 HD pefectly and comes with screws needed to mount it. A little heavy but very solid. Much cheaper than the other options out there which were all around $80-110. Rated 5 out of 5 by John P. from It Fits! Bought this dovetail from my old Nexstar 8. The part lined up perfectly with the existing mounting holes on the scope. Rated 5 out of 5 by Michael from I would buy this again if needed. The dovetail bar is a perfect fit for my Celestron Celestar 8 inch telescope. I like the way it is very wide giving the tube a lot more support than the dovetail bar that came with my mount. The price was great, shipping was fast. Best of all is how well this dovetail bar holds my scope, and how well it clamps in the mount I have. Rated 5 out of 5 by Michael from Delivered soooo fast I ordered my item on Friday and it arrived today, Monday. Im in Melbourne Australia! Item was well packed too. This has given me confidence on shopping at B&H. I will be making more purchases from here. Great job guys! Rated 5 out of 5 by Stellerfeller from Does the job Fit & finish is perfect. It does what it's supposed to do. I milled slots in mine at 45 degree angle alternating larger & smaller endmills. Lightened it up a bit & it looks cool. Rated 5 out of 5 by Doug from New dovetail bar for older C8 Perfect fit for my mid-90's C8, looks great and feels solid, no issues at all! Will this bar fit and screw on perfectly onto my Nexstar 8 SE OTA? Will this fit the VX mount? NO! This bar is 3 inches wide, and fits the Celstron CGE mount. The AVX mount takes a 1.75 inch wide mount.This is from the Celestron FAQ WHAT DOVETAIL BARS ARE USED WITH VARIOUS CELESTRON MOUNTS? The most common dovetail bar size in the telescope market is the Vixen-style bar, which is 1.75 wide. This is the size used with the dovetail clamp on the Advanced VX and GT (CG-5) mounts. It is also used with the LCM, SLT, and SE also, with the AstroMaster and SkyProdigy series telescopes and the AstroMaster tripod. 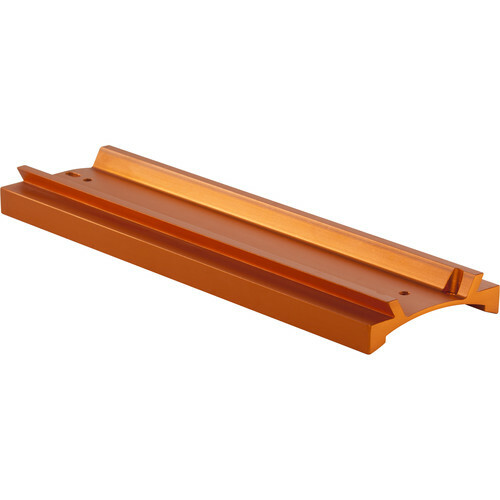 Whether sold separately or already mounted on optical tubes (OTAs), Celestron refers to these dovetail bars as CG-5 dovetail bars.Larger mounts are made to carry larger optical tubes and payloads and use the second most common size, the Losmandy or CGE-width bars that are 3.00 wide.The CGE dovetail bars are used with CGE, CGEM, CGEM DX and CGE Pro mounts and are found on all EdgeHD OTAs.In addition, dovetail bars can be used either atop or underneath OTAs to mount accessories like guidescopes and counterweights. Celestrons 80 mm guidescope rings mount on a CGE dovetail bar.Unlike the widths, a dovetail bars length, whether CG-5 or CGE, varies considerably depending on the size and weight of the OTA. Adapters are available in the aftermarket to allow fitting a CG-5 dovetail bar to a mount's CGE-width dovetail clamp and also a CGE dovetail bar to a mount's CG-5-width dovetail clamp. Yes...I have two of these dovetail bars on an Edge 8. One fits in the CGEM mount heat to secure the OTA, and the second sits on top of the OTA for a guidescope. It works as advertised. What is the length of the bar,?